^ Australian citizenship lost in 1985 (under S17 of Australian Citizenship Act 1948) with acquisition of US nationality. 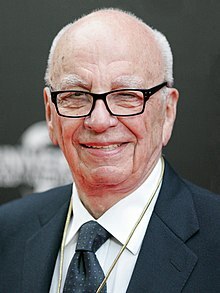 ^ Rupert Murdoch profile. Forbes. [22 December 2014]. ^ #52 Rupert Murdoch & family. Forbes. [2019-03-24] （英语）.